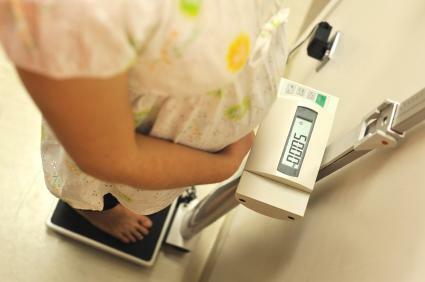 Normal weight gain in pregnancy is important to your baby's health and yours. There are guidelines for how much weight you should gain to avoid complications of pregnancy, labor and delivery. A pregnancy weight gain calculator makes it easier for you to stay within the weight range guidelines during each week of your pregnancy. Your recommended target weight gain during your pregnancy is based on your pre-pregnancy BMI, which is a measure of your weight in relationship to your height. Tells you if you are on target for the total weight you should gain during your pregnancy. This easy calculator will help you to make any necessary dietary changes to stay within your target weight range. Click on "Calculate weight gain" to get your personalized results and interpretation. Compare your results to the summary of the guidelines in this Committee Opinion from the American College of Obstetricians and Gynecologists (ACOG). The pregnancy target weight gain range guidelines were created by the Institute of Medicine (IOM) based on research on weight gain in pregnancy. You are allowed to gain more pregnancy weight if you are underweight pre-pregnancy and less if you are overweight. Remember that both you and your baby contribute to your weight gain during pregnancy. Eat the right amount of calories and nutrients. Ask your doctor about weight management and exercise for during and after your pregnancy. To help you keep your weight on target, use the pregnancy weight gain calculator. Paying attention to your diet and weight will help keep you and your baby healthy and lead to a safer delivery and better outcome for your baby and you.